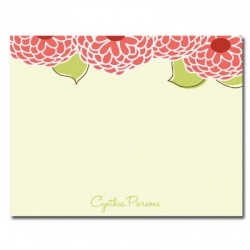 SPECIAL NOTE Your stationery will be printed EXACTLY as your provided text. Kindly double-check your information to ensure proper spelling. Return Address Scallop Stamp: "Williams"